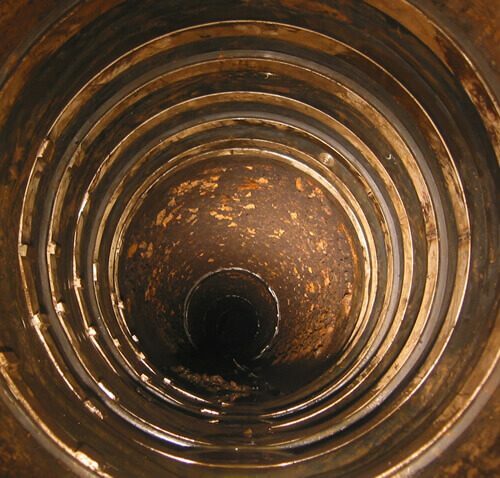 The problem of repairing radial and longitudinal cracks in pipelines has presented challenges to utilities engineers for many years. Now PMP is able to offer a cost effective No Dig solution. The AMEX-10 VARIO seals can be installed in any pipeline over any length where safe man access can be gained. Based on the same design principles as the AMEX-10 MONO, one VARIO seal can be connected to the next VARIO and repeated as necessary to span any crack or defect. A perfect seal is achieved between each VARIO due to its unique tongue and groove joint design. The same stainless steel retaining rings used in the original MONO seal are used to secure the VARIO. The AMEX-10 VARIO can be used in both pressurised and non-pressurised pipelines and is suitable for potable water and wastewater pipelines. The seals can also be used in pipelines carrying aggressive liquids and in gas pipelines. Unlike CIPP lining systems, a degree of flow through the pipe can be maintained during installation, negating the need for over pumping. Like the AMEX-10 MONO, the VARIO carries a year 50 life expectancy and PMP’s exclusive No Seal, No Pay guarantee.